“Teacher, can you help me get up there?” says a little girl, pointing up a tree she just watched another climb. “I bet you can climb up there all by yourself,” replies the teacher. And so it goes, every year at the beginning of a new school year, we teachers watch children struggle when their requests for help are denied. Help to climb a tree, help to balance across a log, help to cross a puddle, help to stand on a rock, or help to get down…Teachers patiently decline and instead encourage children to try it out for themselves. Over and over, we say no to helping our students with physical tasks, even when other children can easily accomplish the task, even when they are disappointed, and even when they cannot do it without help. 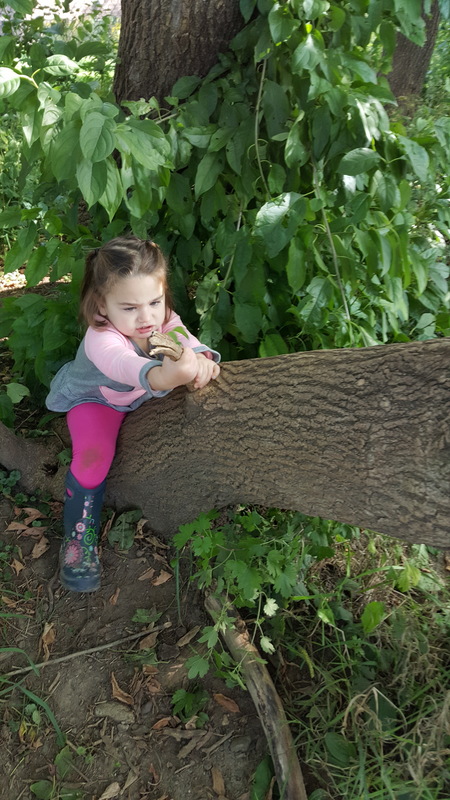 It is a basic instinct to help young children, and it can be truly challenging for adults to watch children fail to do something on their own. We want to rescue them, help them complete a task, assist them in doing something that other children can do. We want children to feel included, to feel proud, and to feel accomplished. But if we help that little girl climb that tree, are we really helping in the end? If children never experience challenges that they must overcome themselves, how will they ever learn to do deal with daily life experiences that are hard for them? How will they learn to evaluate or take a risk? 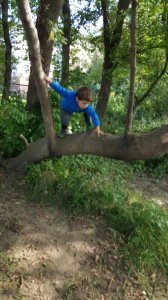 At All Seasons Preschool, we encourage children to take part in healthy risk-taking and learn to challenge themselves. We are dedicated to our students’ safety; however, we do all that we can to increase a child’s reliance on themselves and decrease their reliance on teacher involvement. There are so many benefits to healthy risk-taking in young children. They learn to practice self-reflection — “Can I do this yet?” “Is it safe?” “Should I jump down from this boulder?” Once they decide to make that leap, they can evaluate if their choice was a good one, often in the form of “Wow, that was fun!” Children who practice taking risks develop strong large muscles and greater strength and coordination. They also learn the adage of Try, Try, Again! (also known as persistence and patience). This is not to say that we walk away when an eager child asks for our assistance. Instead, we redirect our students to find something that they can do on their own. 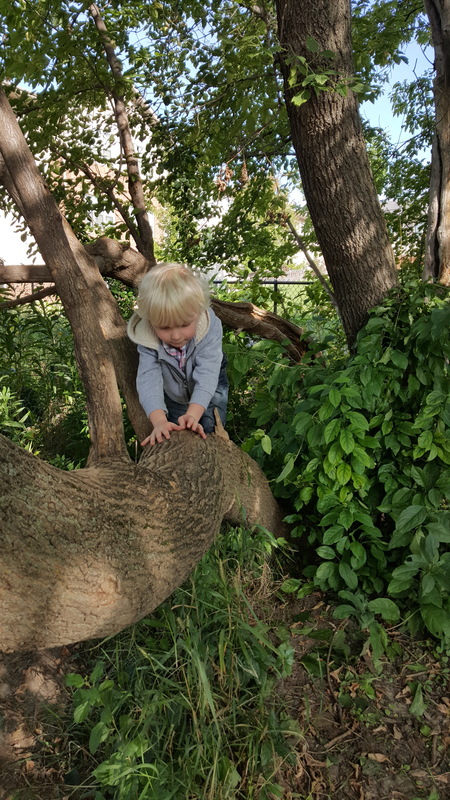 We guide them to watch their peers, to ask others how they climbed that tree, and to watch where the climbers put their feet. 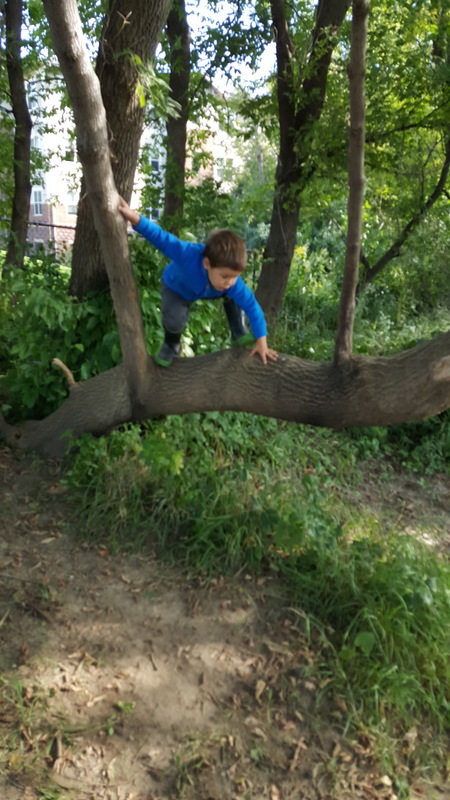 As the school year goes on, we return to the same outdoor play areas over and over. 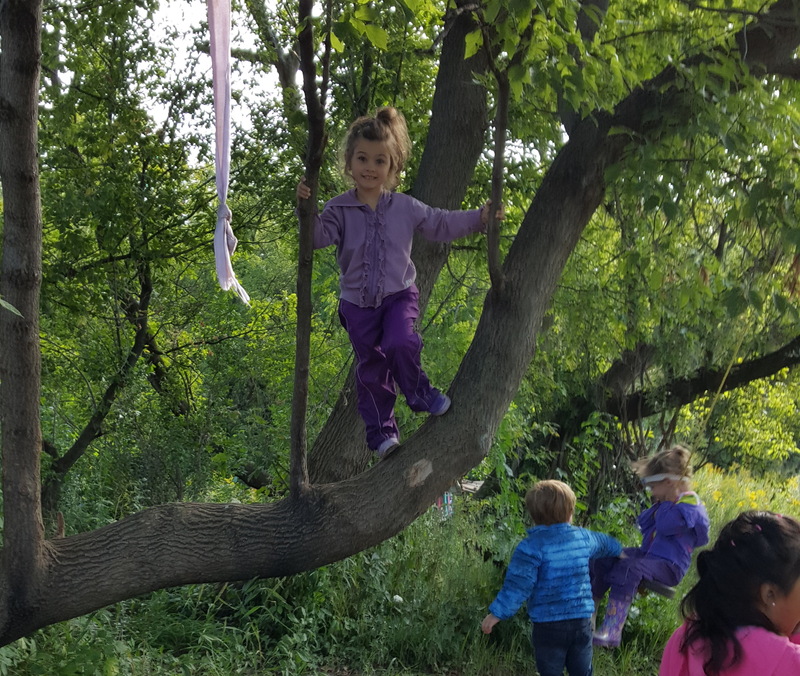 Since they have so many chances to practice safe risk taking, we get to hear our students’ joyous exclamations of “Did you see me! ?” “Now I can do it!” and every preschooler’s favorite, “I did it all by myself!